#WFTLearn Mortgage Lending Panel Takeaway – Ladies & Gents…We’ve Got Options! Many many thanks to our panelists, staff and audience for a lively discussion on the state of the mortgage lending industry and its effect on REALTORS®. We will unpack the myriad discussions we had here but I wanted to share my single most impactful takeaway. In spite of the grey clouds of issues we all face everyday, I saw a great deal of silver lining in what we heard from our panelists. Mortgage lending isn’t in such an abysmal state as I previously thought. In short, I learned that there really are options for buyers who want financing. And I don’t know about you; but it sure does seem like a long time since I have said something like that. What’s the Best Way to Photograph a House for Sale? Just posted a new article about the importance of taking great photos that catch people’s attention when you’re listing your house for sale by owner on Merchants Circle. Searching for Homes for Sale near McGregor Blvd in Fort Myers, Florida? If you’re an out-of-towner who is seeking homes for sale in Fort Myers, don’t pass by the historic district near McGregor Blvd! This area is home to so many gorgeous estates that blend the old historic look with modern luxury. You may have heard about downtown Fort Myers (also known as the river district and/or historic district) due to it being the host of Thomas Alva Edison’s and Henry Ford’s winter estates. 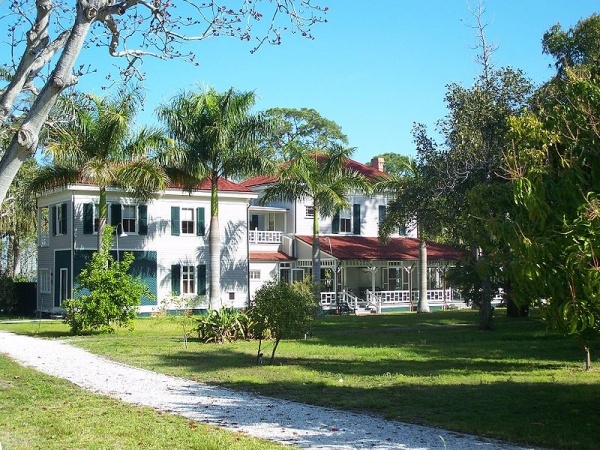 Anyway, this McGreggor/Historic/Downtown area is absolutely stunning and has some of the most posh, yet old-world homes available in the Southwest Florida real estate market today. For instance, check out this estate at 1418 Jefferson Avenue in Fort Myers. Our friends at Platinum Elite Realty will be staging this completely renovated, 3BR/3.5BA home and talk about AMAZING.